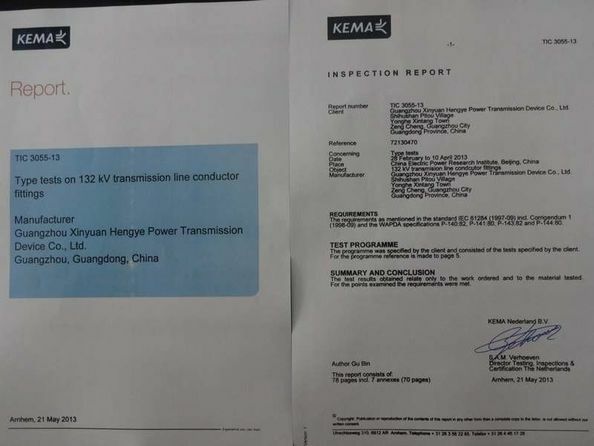 All the hardware fittings can be manufacturing according to the requirements of GB/T, IEC, EN, BS and WAPADA standards, verified by KEMA, VEIKI, EGU, CEPRI, HYDRO QUEBEC etc. And the ACMCC Conductors can meet the requirements of ASTM, EN, BS and IEC etc. 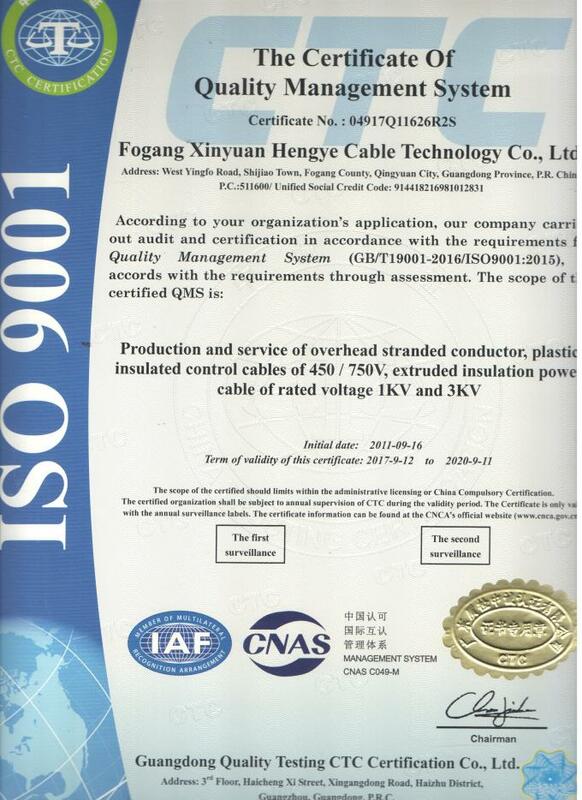 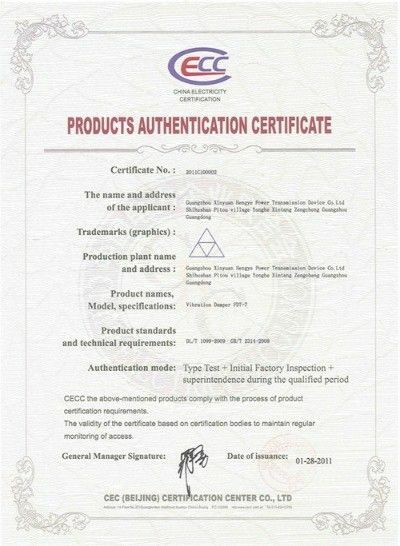 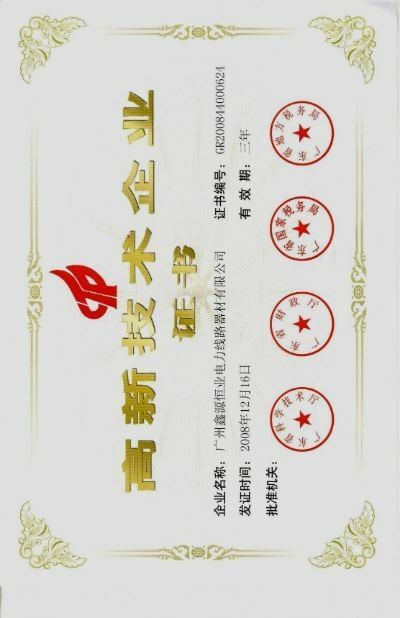 Our wholly owned subsidiary Fogang Xinyuan also has a full set of independent intellectual property rights of the manufacturing process, production equipments and product structure for ACMCC conductor. 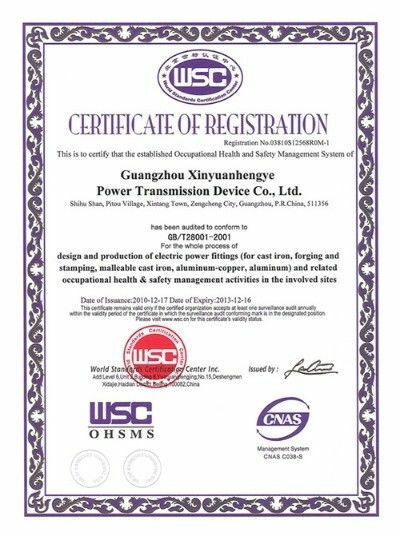 Business Scope：Production and serevice of overhead stranded conductor, plastic insulated control cables of 450/750V, extruded insulation power cable of rated voltage 1KV-3KV. 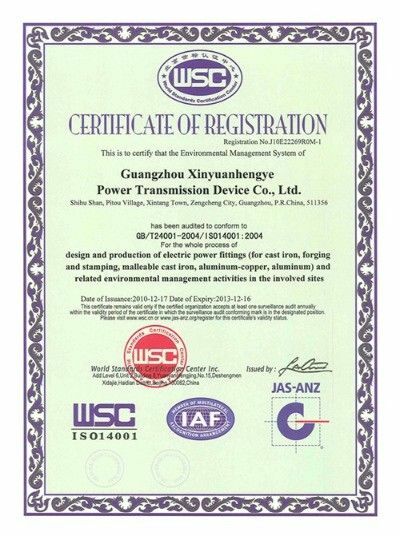 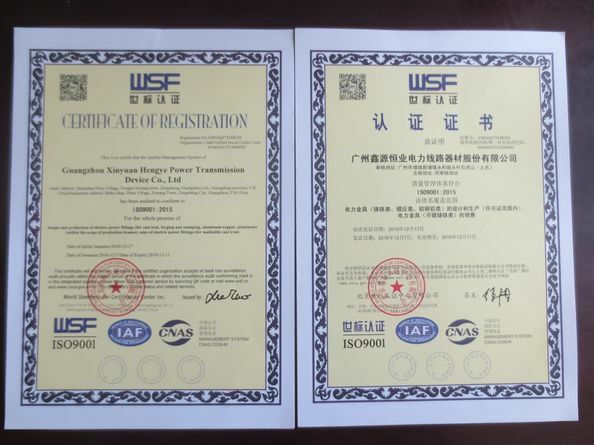 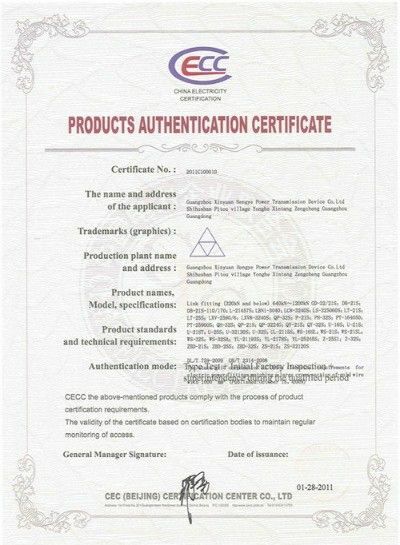 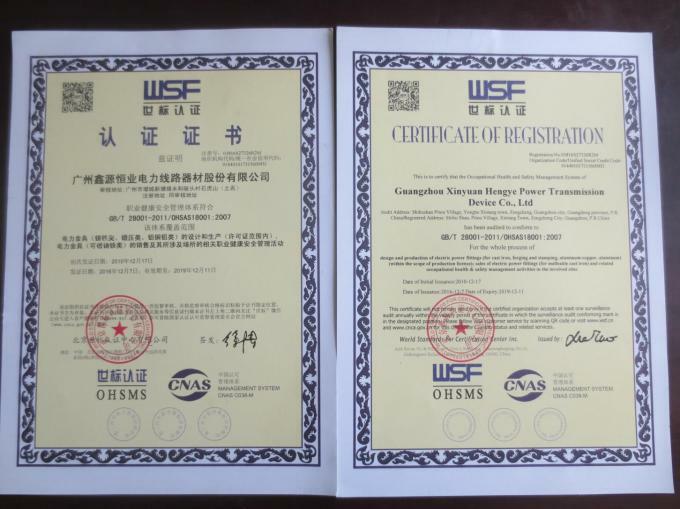 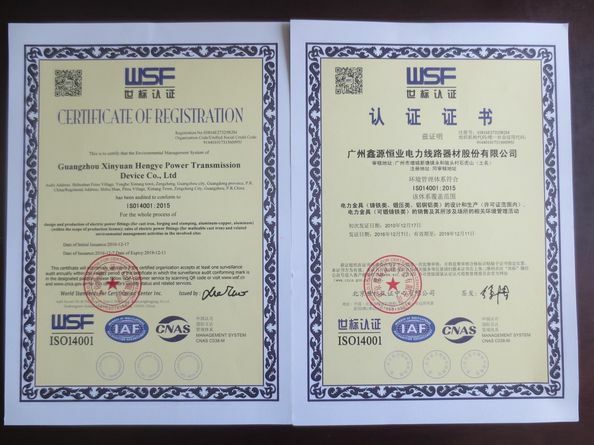 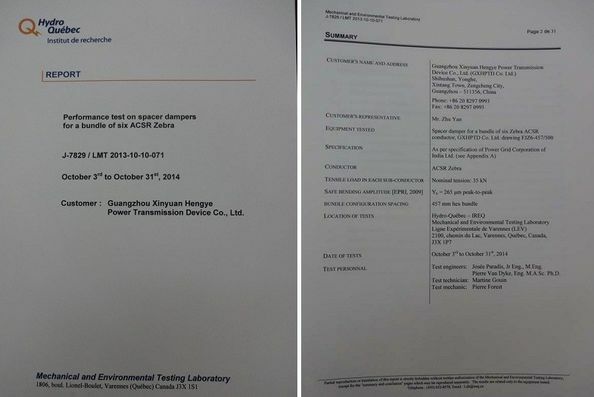 Issued By:World Standards Certification Center Inc.
Scope/Range:Suspension Clamp & XGF-1234, Ball Hook & QG-12S, Socket Eye & W-12S-110E, Arcing Horn & ZHJ-140S, etc.